A hemangioma is a vascular brain tumor that typically develops in the cerebellum, at the back of the brain. A vascular brain tumor is a benign (noncancerous) tumor that’s caused by an excess growth of blood vessels in the brain or spinal cord. It almost always occurs in the back of the head, in the cerebellum, the part of the brain that controls balance. Individuals with vascular tumors in the cerebellum typically have problems with balance and coordination, as well as other symptoms. There are several types of vascular brain tumors, all rare, but the most commonly diagnosed in this category is hemangioblastoma. Computerized tomography (CT), which uses x-rays, and magnetic resonance imaging (MRI), which uses magnetic fields and radio-frequency waves, can create images of the brain that detect vascular tumors. Cerebral angiography, also called a cerebral angiogram or cerebral arteriography, is a minimally invasive procedure that can provide a detailed image of blood flow in the brain and precisely locate a vascular brain tumor. Occasionally, the tumor’s blood supply can be safely and precisely closed down during the angiogram, a procedure called embolization. This affords the patient a potentially safer surgical resection with less blood loss. What Causes a Vascular Brain Tumor? 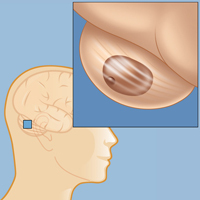 In some patients, the tumor is associated with a genetic disorder called von Hippel Lindau disease (VHL), but in others there is no known cause. Vascular brain tumors are complex conditions that should be treated at major medical centers by experts in cerebrovascular disorders and brain tumors.